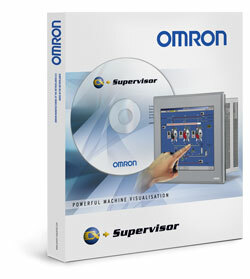 CX Supervisor is Omron SCADA Package which comes in different-different packages. You can Communicate CX Supervisor in many different way with your PLC i.e OPC, Host link, DDE (Now obsolete) etc. In this tutorial we will only discuss about how to configure OPC in Omron SCADA- CX- Supervisor. First of all we should know what is OPC. OPC stands for OLE Process Control and developed in 1996 by an industrial automation industry task force. The OPC Specification was based on the OLE, COM, and DCOM technologies developed by Microsoft for the Microsoft Windows operating system family. Subscribe to Automation-Talk by Email . Configuring CX supervisor in OPC and DDE is not a big problem if you have your DDE and OPC server with the SCADA package. You can connect CX- supervisor with any third party PLC if you have its OPC server to connect. For more information on OPC server or to select OPC server you can See our article on Best OPC Servers. For Connecting Omron PLC with CX- Supervisor with OPC you need to keep in mind that you will require a OPC server, without it you cannot find OPC server in CX- Supervisor OPC settings. Now lets start to configure our PLC and SCADA in OPC. 1.Open CX- Supervisor and click on New Project. You will see two option. You can choose any according to your requirement. *Click on Image to Enlarge them. 2. 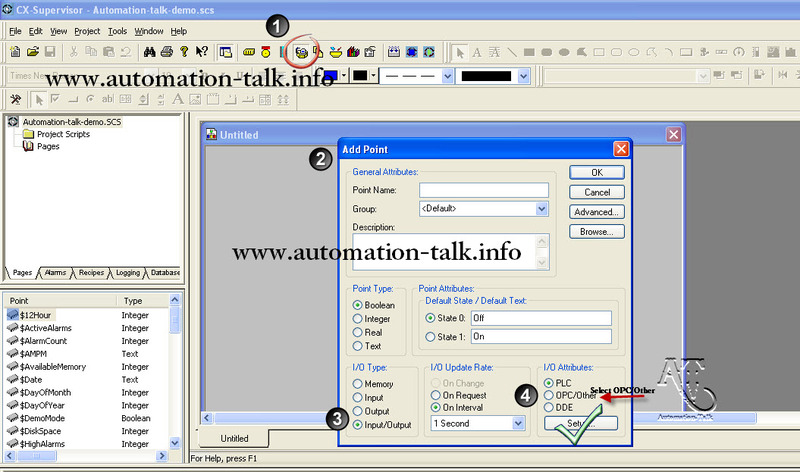 Now go to Point Editor and create a Point in CX-Supervisor SCADA as shown in Picture. Follow 4 steps as shown in Picture and click on Setup. 3. Now on Clicking setup, you will see the OPC Server Configuration. Now select your OPC server which you have made. For this you should have a OPC server and in that OPC server Create PLC points which you required. Now you just have to add your OPC server, then name any group and then add PLC point. See picture for detail learning. If you are having Problem in Configuring your OPC of any SCADA or PLC you can tell us.